Konkona Sen Sharma's directorial debut, A Death In The Gunj, has been ready for a while now. The film, which has toured quite a few international film festivals, has received rave reviews. A Death In The Gunj, which has an interesting ensemble cast, will be commercially released in India this Friday. Meanwhile, Konkona organised a special screening of the film for her friends from the industry. The film's star, Kalki Koechlin, was spotted at the screening. 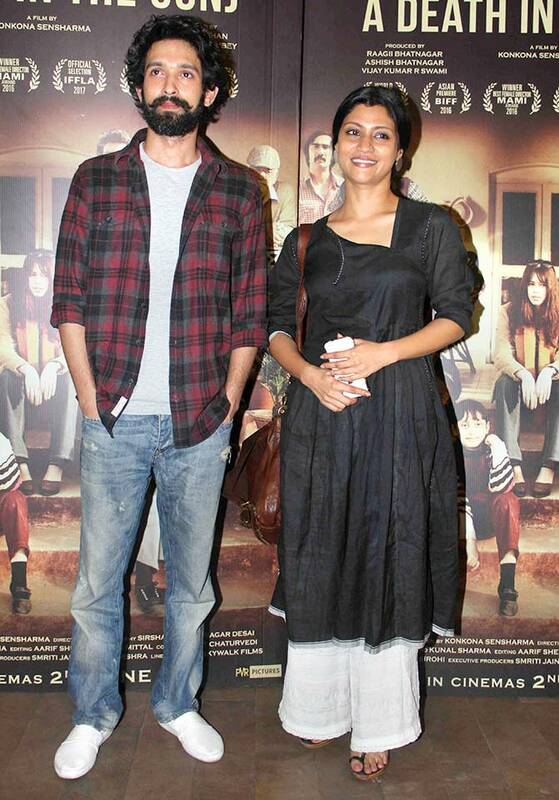 Vikrant Massey, who has an important role in the film, was there with his director, Konkona Sen Sharma. 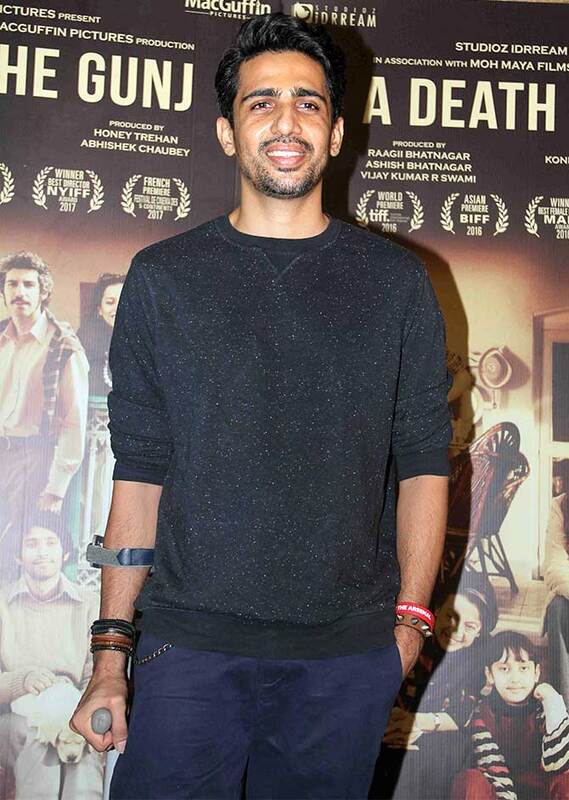 Gulshan Devaiah -- you might remember him from Hunterrr -- also stars in the film. 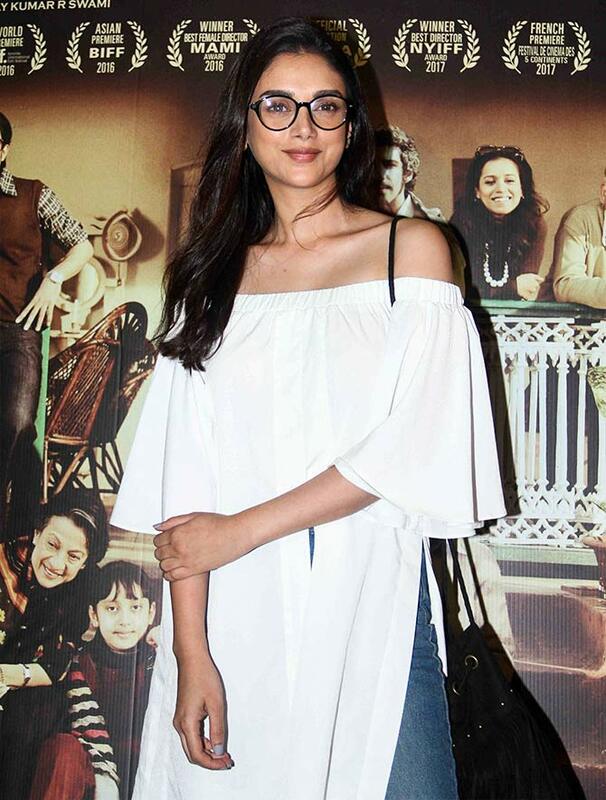 Tanuja, who will be seen in A Death In The Gunj after her last outing -- the 2013 Marathi film Pitruroon -- arrived with daughter Tanishaa Mukherji. The gorgeous Aditi Rao Hydari will be seen playing Sanjay Dutt's daughter in Bhoomi. Radhika Apte, who was there as well, will be seen in Vikramaditya Motwane's next, Bhavesh Joshi. Bhumi Pednekar has three films in the pipeline -- Toilet -- Ek Prem Katha, Manmarziyan and Shubh Mangal Saavdhan. While she stars opposite Akshay Kumar in the first, the latter two will see her with Ayushmann Khurrana, opposite whom she made her debut in Dum Laga Ke Haisha. Ira Dubey was last seen in Dear Zindagi. 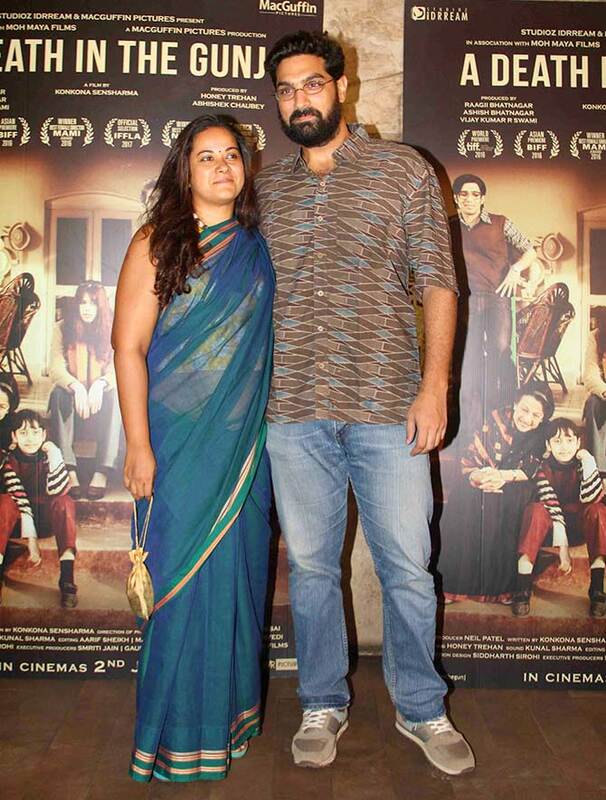 Kunaal Roy Kapur dropped in with his wife, Shayonti. 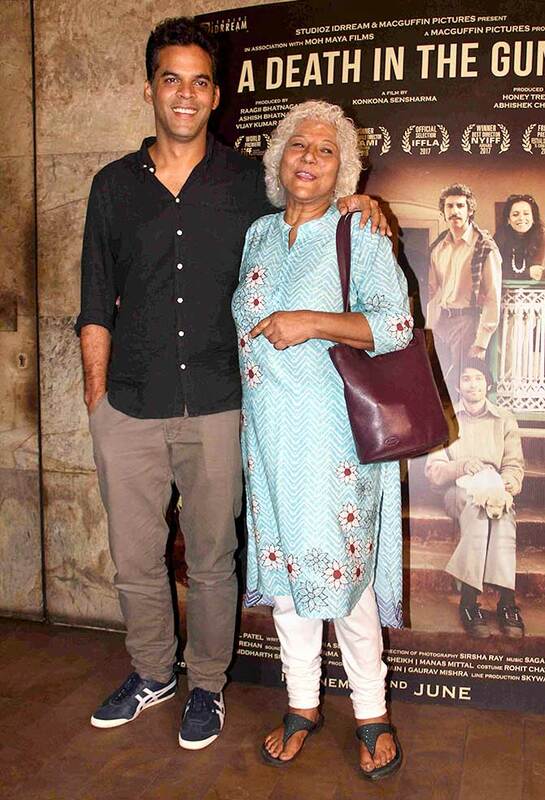 Vikramaditya Motwane was accompanied by his mother and co-producer, Dipa De. Tahir Bhasin, who will be seen in Manto next, was there as well. 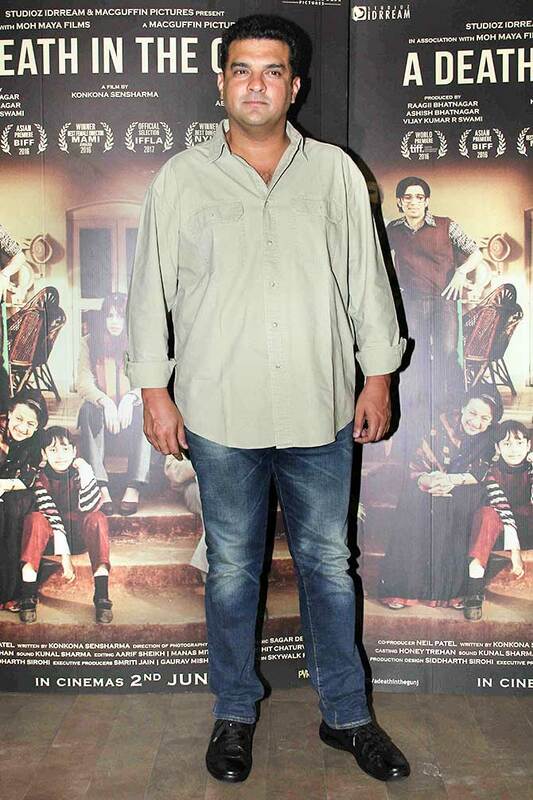 Producer Siddharth Roy Kapur watched the film too. Naseeruddin Shah arrived with wife Ratna Pathak Shah, whom you can now watch in the delightful Sarabhai Vs Sarabhai: Take 2. 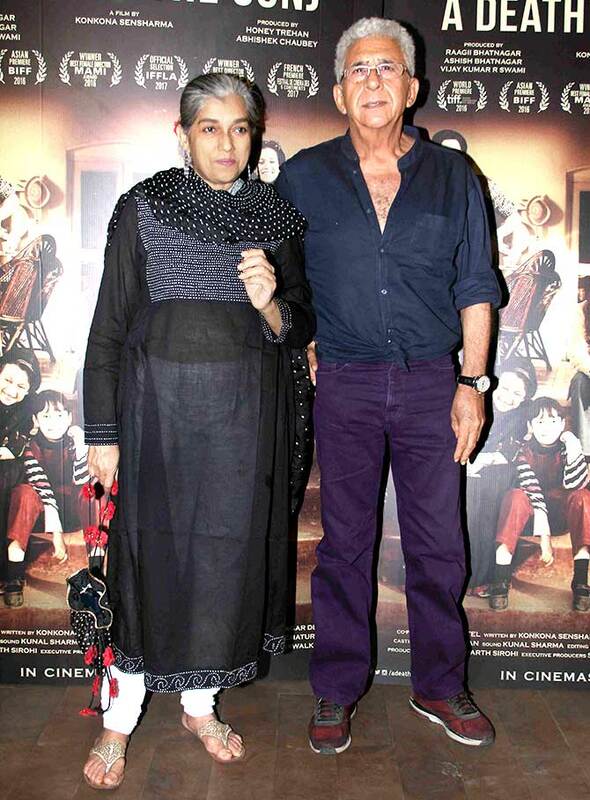 The Ratna Pathak Shah interivew: It was deeply embarrassing to watch Sholay! Their son, Imaad Shah, was there as well. 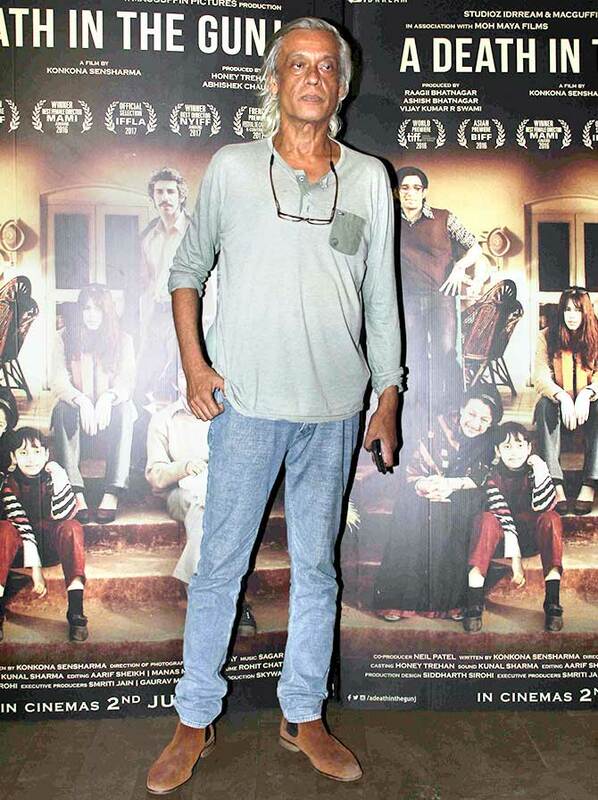 Sudhir Mishra -- who has some incredible films in his kitty -- watched the film too. 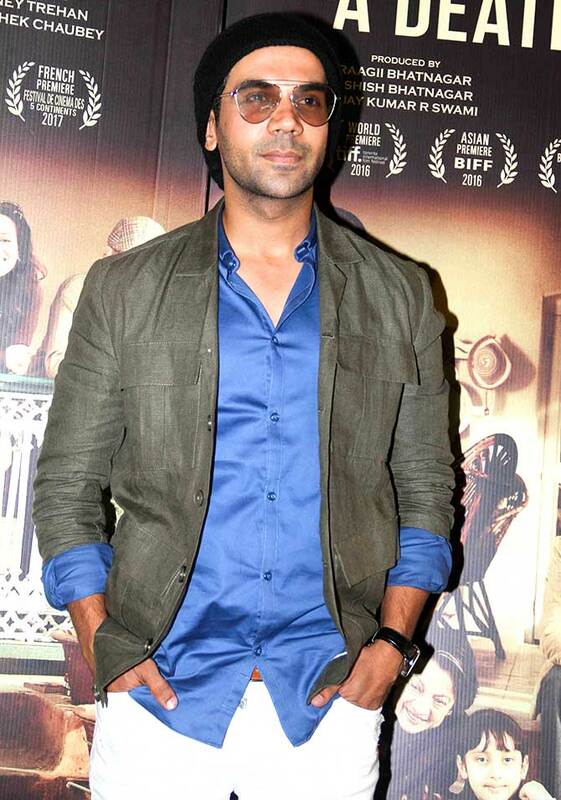 Rajkummar Rao has two releases next week, Raabta and Behen Hogi Teri.